"Be your own boss with this property located in downtown Caroline. Included in this sale is a 2378 sq. 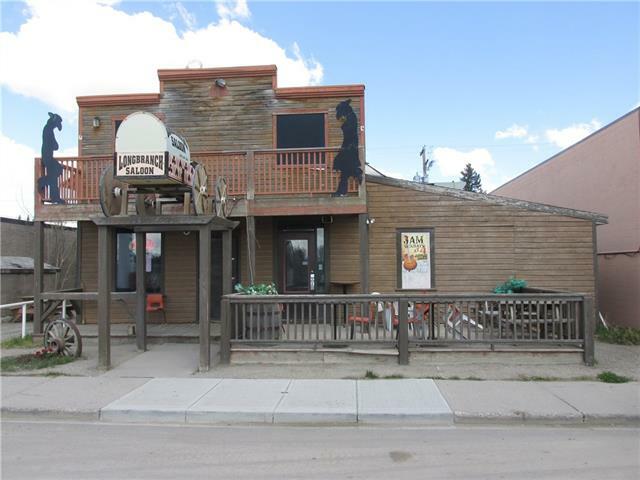 ft. building that is presently operating as the Long Branch Saloon which sits on a 50 feet x 125 feet lot. Also included in this sale is the lot which is for customer parking and is directly behind the Saloon across the alley to the north which is 50 feet x 124 feet. This busy business offers licensed family dining which caters to the locals in the Winter and the tourists in the summer months. Please call the listing realtors for further details regarding the land, RPR, equipment list and Cash Flow potentials of the business. This business is located at the east entrance to Town on the main road which is also 50th Avenue, Caroline, Alberta on the north side of the road."